Explore spectrUM's 2018 Summer Camp options for kids age 6-14. 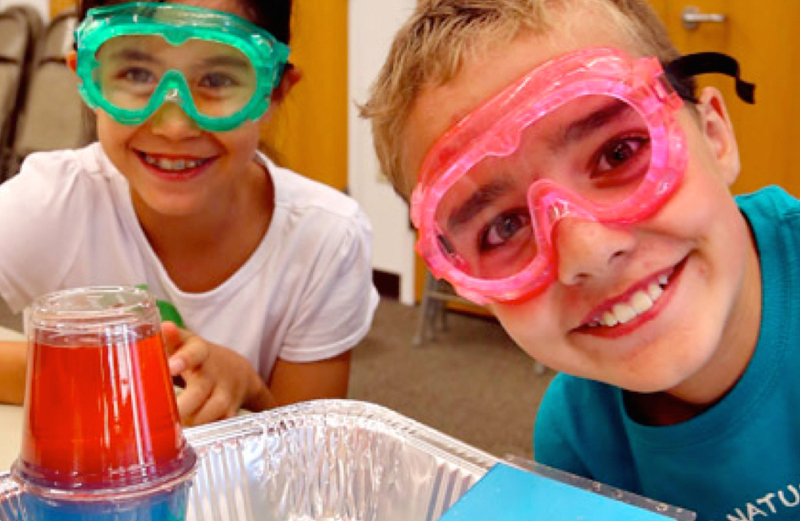 Give your students the gift of science - book a spectrUM Field Trip for your class. Have an unforgettable birthday party at spectrUM! With support from the Martin Family Foundation, spectrUM offers Making and Tinkering programs at Corvallis Middle School and Hamilton's Daly Elementary. Come visit the Sun, Earth, Universe Exhibition, on display now at spectrUM. EmPower Place is a vibrant community space where children and families can learn and play together. This collective impact space is a collaboration between spectrUM Discovery Area, Missoula Food Bank, and Missoula Public Library. Explore programming happening on the Flathead Reservation. GSK-Science in the Summer powered by GSK and SciNation. Bringing science to students on the Flathead Reservation. The Jane S. Heman Foundation has teamed up with spectrUM to create a robust STEM learning ecosystem in Montana’s Bitterroot Valley. Explore with spectrUM - check out our educational programs.